One of Nicholas's first homework assignments was to cut out some pictures from magazines and newspapers that could be combined into a "me collage." This would go on his writing binder and when Nicholas was out of ideas for writing assignments, his teacher could point to one of the pictures in the collage and suggest that he write about that. 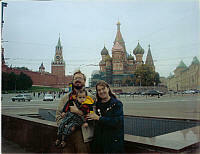 Nicholas and Cathy took some pictures with our digital camera to supplement the ones he found in the newspaper. Here are those pictures. This is my favorite of the bunch. 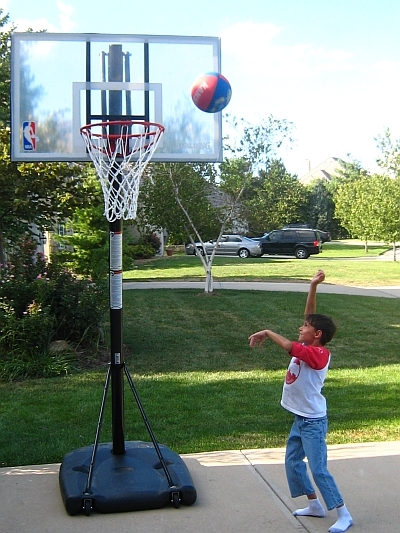 Notice the form. Also, if you look carefully, you can see the Jayhawk logo and the word "Kansas" on the basketball. Nicholas won that basketball at Worlds of Fun by sinking two baskets in one of those seemingly impossible to win carnival games. 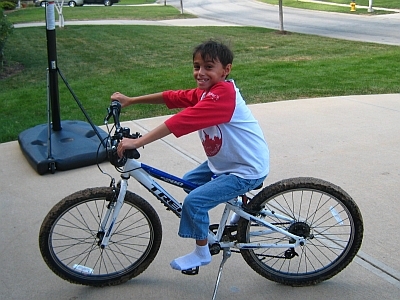 Here's a picture of Nicholas on his seven speed bike. He can outpedal Dad, who has a 21 speed bike, and Mom, who has a 24 speed bike. 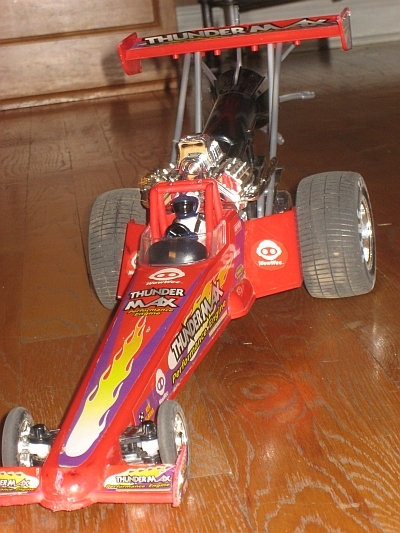 This is one of his favorite remote control cars. You can't tell from this picture, but it goes REALLY FAST. Nicholas has the world's coolest backpack, special ordered from the Lands End website. He's quite proud of it. 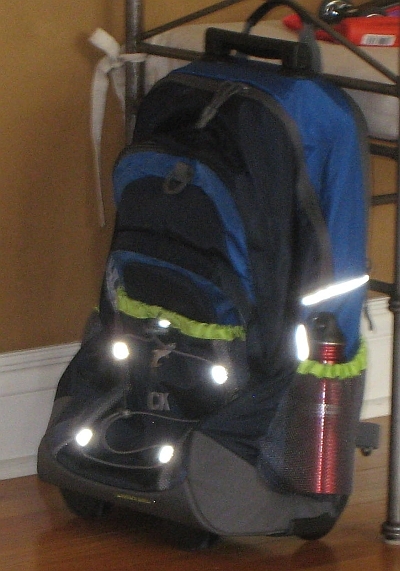 Notice how the flash picks up the special reflective areas on the backpack. 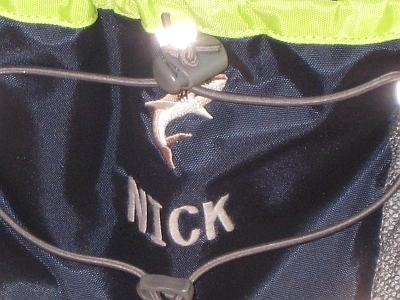 This is a closeup of his backpack, showing off the special embroidery of his name and a picture of a shark. This picture was actually taken earlier. 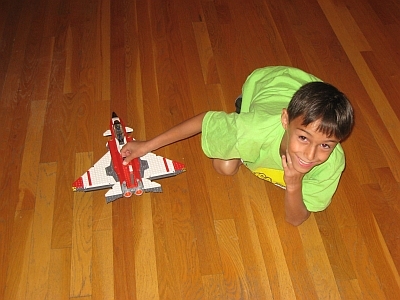 He's holding a Lego fighter jet. 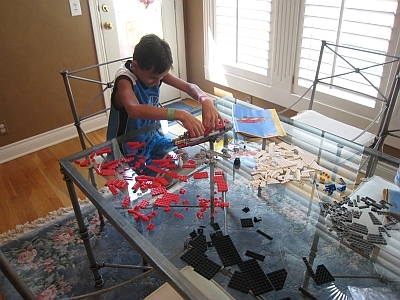 Thiis he built by himslef with only general supervision from Cathy. Here's a peek at the construction process.